If you are lured by the investments made in cryptocurrency network, then you must be searching for new ways to invest in this striking market. You need not to worry as you have arrived at the right place. With the expansion of cryptocurrency market, more and more people are planning on investing in Ethereum, just like Bitcoin. However, most people don’t know that they can also mine in this platform to generate a passive income every month. Even without having technical knowledge, a normal person can learn the basics of Ethereum mining. But before getting into details, it is imperative to know why you should opt for Ethereum mining. Why start mining in Etherrum? This relates to the fact that Ethereum is one of the fastest growing crypto currencies only next to Bitcoin. The miners are rewarded for providing solutions to challenging math problems through blockchain technology. Few years ago, the price of Ethereum was $1, this has now elevated to a booming sum of $400. The rapid growth of popularity of this mining technology has injected excitement in the users worldwide to not to miss this ever-growing money-making opportunity. And you should not be the one to miss out in the race that is already started. Let’s know the methods of mining in Ethereum pools. The basic necessity for mining includes a computer and a graphics card. You must be wondering why to use graphics card other than playing games. This is because a graphics card will help in computing an algorithm that the computer attempts to solve to generate Ethereum. The trick here is to generate the block almost every 15 seconds by the GPU. The Ethereum pays a sum of money in the form of Ethereum or ETH, say 5 or 10, to miners who are able to find the block. A complete professional mining setup might include 5-6 processors and will be able to find an average of 0.5Eth per month. After setting up your equipment for mining, it is important to join a mining pool. Mining pools of Ethereum combines hashrates of all miners and increase the chances of finding a block. This helps miners as they can get a steady payout from the pool. There are various mining pools that can be used. For instance, NiceHash is a popular choice as the pool chooses the best algorithm to hash and pays out in bitcoin. Another pool is the Nanopool which has a large community. The main highlight of Nanopool is that it even pays if a miner was close to solving a block. When your video card has successfully mined a block, you are entitled to receive 3 – 5 ETH rewards. You will also get the mining fees associated with the transaction of the money. This is also the reason, many miners offer to do the job with high transaction fees. The rewards are transferred to the Ethereum linked wallets of the miners. After installing setup, you just need to sit and view your graphics card find the blocks and hash the algorithms. The approximate income is calculated on the basis of your hash rate and the exclusions will be your electricity bill. With passage of time, the difficulty of Ethereum mining is increasing, not to mention the increase in costs associated with the setup. However, if we look at the facts, the difficulties have dropped thanks to the decrease in the rewards. Either way, it is a field that tracts million of miners around the world and is worth a try. What to do with Litecoins you mined? Last time we talked about what to do with the Bitcoins that you earned. This time, we’ll be looking at Litecoins and Ethereum, two Altcoins that have become relatively mainstream. The questions are the same, should you withdraw them into cash since they’re less table? Should you convert them into Bitcoins or Altcoins? Should I convert Litecoins or Ethereum into Cash straightaway after the 4.5 month waiting period? Once again, the first thing to do is join an exchange, even if you don’t intend to withdraw cash straight away. Now the question is, should you withdraw straight away? There’s no easy answer to it, while Ethereum and Litecoins has continued to rise, it may one day start falling. This means that you’ll see the value of what you mined rise faster if you keep it in this currency, instead of withdrawing it. Should I convert Litecoins or Ethereum into other Alternative Currencies that are rising faster? This is a very pertinent question. Assuming you have Litecoins or Ethereum and intend to keep them for a long period, it might prove to be far better to shift them to newer Altcoins that rise at a far higher rate. However, this is not something to do lightly. Altcoins are notoriously volatile and buying and selling at the wrong time can be a huge problem. We have an article on what Altcoins are and how to invest in them. Remember though, that Litecoins and Ethereum are more stable than most Altcoins, and Bitcoins is the most stable of all. Which leads us to the next question. Should I convert Litecoins into Bitcoins? Should I convert Ethereum into Bitcoins? One of the most common analogies that people use for Bitcoin is that it’s like mining gold. Just like the precious metal, there is only a limited amount (there will only ever be 21 million Bitcoins) and the more that you take out, the more difficult and resource intensive it is to find. Apart from that, Bitcoin actually works quite differently and it’s actually quite genius once you can get your head around it. Bitcoin mining serves to both add transactions to the blockchain and to release new Bitcoin. The mining process involves compiling recent transactions into blocks and trying to solve a computationally difficult puzzle. The first participant who solves the puzzle gets to place the next block on the blockchain and claim the rewards. The first participant who solves the puzzle gets to place the next block on the blockchain and claim the rewards. The rewards incentivize mining and include both the transaction fees (paid to the miner in the form of Bitcoin) as well as the newly released Bitcoin. The amount of new Bitcoins released with each mined block is called the block reward. The block reward is halved every 210,000 blocks, or roughly every four years. The block reward started at 50 Bitcoins in 2009, and is now 25 bitcoin in 2014. This diminishing block reward will result in a total release of bitcoin that approaches 21 million. As of today, block rewards provide the vast majority of the incentive for miners. At the time of writing, for the previous 24 hours, transaction fees represented 0.3% of mining revenue. How hard is it to mine Bitcoins? Well, that depends on how much effort is being put into mining across the network. Following the protocol laid out in the software, the Bitcoin network automatically adjusts the difficulty of the mining every 2016 blocks, or roughly every two weeks. It adjusts itself with the aim of keeping the rate of block discovery constant. Thus if more computational power is employed in mining, then the difficulty will adjust upwards to make mining harder. And if computational power is taken off of the network, the opposite happens. The difficulty adjusts downward to make mining easier. The higher the difficulty level, the less profitable mining is for miners. Thus, the more people mining, the less profitable mining is for each participant. The total payout depends on the price of Bitcoin, the block reward, and the size of the transaction fees, but the more people mining, the smaller the slice of that pie each person gets. Is it Profitable to Mine Bitcoin? There are many calculators on the web that shows you exactly what the ROI is on any given hash rate when you take into account cost of electricity. Based on how much you spend on your computer hardware or cloud contract and what your electricity cost is, the payback for profitability might be 9-12 months out. So why do miners continue to mine? Because the calculators only take into account what Bitcoins are worth today. At the time of writing, each Bitcoin is worth $4,000. But if Bitcoin’s value rises to $10,000 by next year, then the ROI on your mining significantly dropped to maybe a few months. And if Bitcoin’s value rises to $100,000 in 3 years, then your ROI would drop to mins. And whatever Bitcoins you’ve mined would be worth 25x more. Remember Bitcoin has a finite number and as we approach the 21st million Bitcoin, the value will significantly rise. What Do I Need to Mine Bitcoin? Mining Bitcoins require you to have two things, mining hardware and software. In the early days, it was possible to mine Bitcoin with a standard computer. Then it shifted to power graphical cards. Today that’s no longer possible due to the rising difficulty. Bitcoin ASIC chips packed into custom Miners offer performance up to 1000x-10000x the capability of mining from a computer. or graphics cards. As for software, there are many programs out there that can be used for Bitcoin mining. What About Bitcoin Cloud Mining? Rather than have Bitcoin miners running within your home, you can elect to go the cloud route and simply lease mining hash power and time. Cloud mining providers simply have a lot of ASIC miners within their datacenter but they have economies have scale on their side when it comes to space, power, and cooling. The cost associated with cloud mining is very close if not better than the cost of buying Mining hardware. The downside is the lease time is usually 1-2 years and you do not own the hardware. Mining Bitcoin with a cloud provider is a very good option for those starting out. This is especially so for people who do not want to clutter up their house or those who lack the technical ability to set up Bitcoin Miners. You simply enter your wallet address and watch mined Bitcoins flow into your wallet. Genesis Mining: Genesis Mining is the largest Bitcoin and Scrypt cloud mining provider. Genesis Mining offers three Bitcoin cloud mining plans that are reasonably priced. Ethereum, Dash, Litecoin, Zcash, Monero mining contracts are also available. Hashflare: Another well known and long established cloud mining provider. Bitcoin, Scrypt, ETHASH and X11 mining available. Minergate: Minergate offers Bitcoin clouding mining and offers both pool and auto-switching mining for Scrypt based coins. In terms of mining Bitcoin, the higher the hash rate the better. 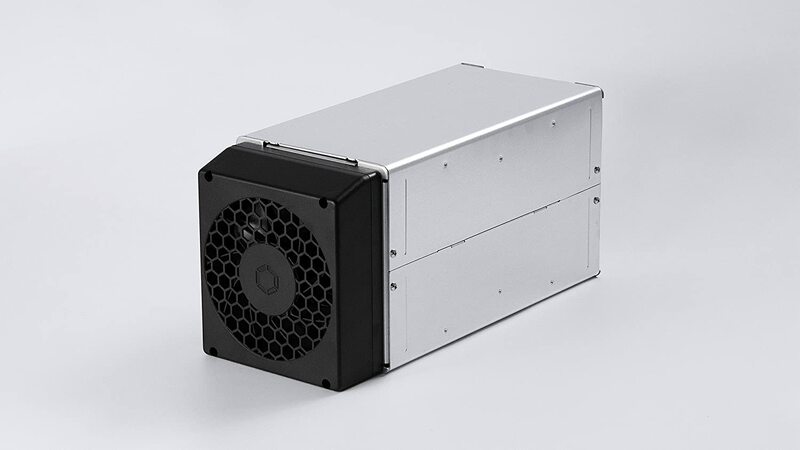 So you will want to buy ASIC miners with the highest rate while consuming the lowest amount of electricity. The three miners listed are the best ASICs on the market. But due to short supply, they are selling above their original MSRP price since they are in great demand. After getting your Bitcoin ASIC miner(s), next is to download Bitcoin mining software. The two most popular are CGminer and BFGminer which are command line programs. If you prefer a GUI miner, try EasyMiner. For information on how to configure CGminer or BFGminer, check out this guide provided by SlushPool. Ok now that you have both the hardware and software in place, you are almost ready to mine Bitcoins! Although optional, huge recommendation (really a must) is to join a Bitcoin mining pool. Mining rewards are paid to the miner who discovers a solution to the puzzle first, and the probability that a participant will be the one to discover the solution is equal to the portion of the total mining power on the network. Participants with a small percentage of the mining power (that would be you) stand a very small chance of discovering the next block on their own. 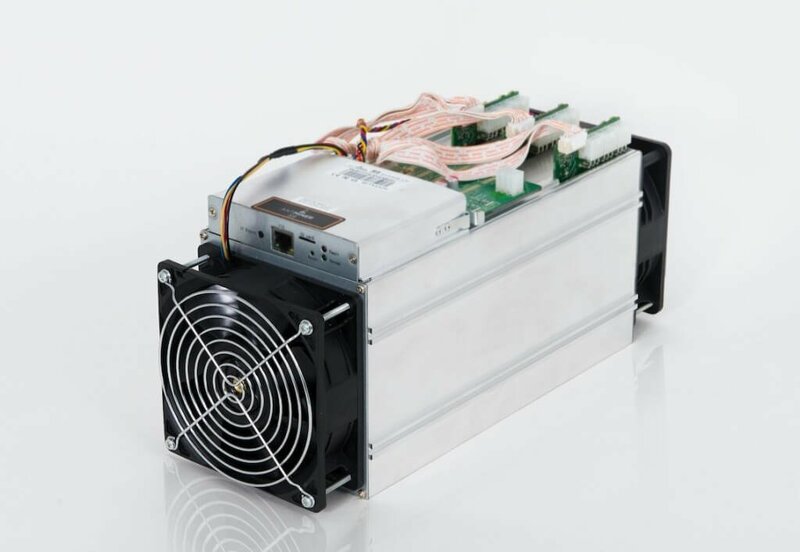 For instance, a single ASIC Antminer S9 would represent less than 0.001% of the network’s mining power. With such a small chance at finding the next block, it could be a long time before that miner finds a block, and the difficulty going up makes things even worse. The miner may never recoup their investment! The answer to this problem is mining pools. By working together in a pool and sharing the payouts amongst participants, miners can get a steady flow of Bitcoins starting the day they activate their miner. Below are the top 12 Bitcoin pools in the world according to hash power . A lot of them are out of China and not really for beginners. I suggest checking out SlushPool as a first pool to join. The last step and the final thing you need to have ready is a Bitcoin wallet to store all of your Bitcoins. Bitcoins are sent to your Bitcoin wallet by using a unique address that only belongs to you. The most important step in setting up your Bitcoin wallet is securing it from potential threats by enabling MFA/2FA with Hot wallets or keeping it on an offline such as a Cold wallet. Or the best of both worlds a Hardware wallet such as Ledger Nano S.
For help in choosing a Bitcoin wallet, check out the Wallet section. With the proper hardware, software, pool, wallet, and knowledge, anyone can get started with Bitcoin Mining. The cloud option is always enticing because it does allow beginners to bypass the need to spend on hardware, configuration and eliminates the worry about space, electricity, cooling but it does come with its own drawbacks. With cloud mining, you lose the ability to sell hardware when done and that you are obligated to the time included in your contract. Outside of Bitcoin mining, Scrypt based mining is still very popular and can be done with common computer components. Scrypt mining allows you to mine coins such as Ethereum, Litecoin, and Zcash. 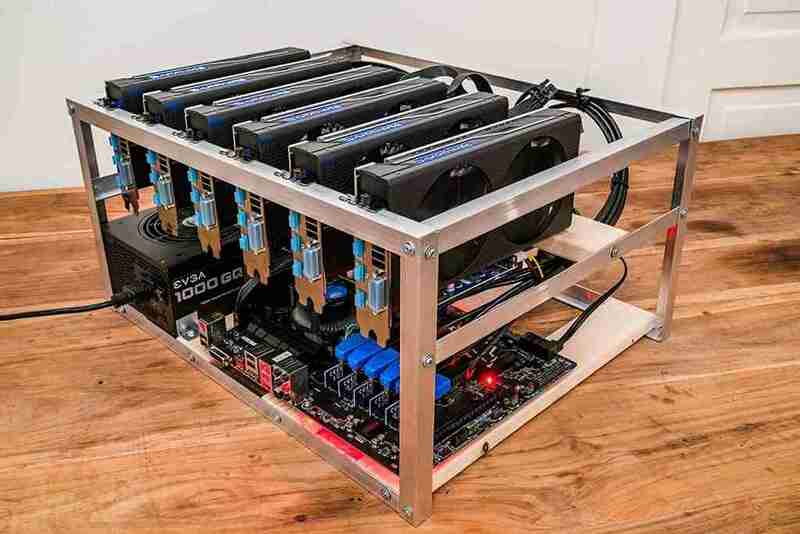 Check out How To Build An Ethereum Mining Rig for more information. Are you a Windows guy? Want to do Ethereum Mining? Great then you’ve come to the right place. Ethereum mining on a Windows PC take a little bit more work but really anyone can pick it up easily. This guide is a mining guide that goes through the steps on how to set up the software and configure it on a Windows PC. This guide does not show you how to build an ethereum mining rig. Download Geth. Geth is the program that communicates with the Ethereum Network and acts as the relay between your computer, its hardware and the rest of the Ethereum network. Once you have it downloaded, save it somewhere(Desktop is easiest) and unzip the file. Then copy Geth application to your C: drive. Next, start up Command Prompt and navigate to the C: drive. If you don’t know how to get to the C: drive, simply type cd \ and now you be looking at C:\. Now you are ready to launch Geth. Just type geth account new and hit enter. Once you have entered your password and confirmed it by entering it a second time you will have created a new wallet! The wallet address is given to you. Write it down or copy it since you will need this a bit later. Now that you have your wallet ready, you will need to get Geth to start communicating with the rest of the Ethereum network. Type geth –rpc and hit enter. The screen should start downloading the blockchain for Ethereum. You are synchronizing with the rest of the Ethereum network while it is downloading. The process can take up to a few hours so be patient. Sometimes your Windows firewall won’t like Geth and pop up asking you to allow access. Click allow access. Download Ethminer which makes your GPU run the hashing algorithm that is integral to securing the Ethereum network through proof of work. After its down, run it and get it installed. Once it’s down, you need to open up another Command Prompt. Simply click right click on your already open command prompt in the taskbar at the bottom of the page and click on command prompt in the menu that appears. A new command prompt should open with C:\users\username>. Type cd \ to get to the C: \ drive where Ethminer is. Type in cd Program Files and press enter. It should get you to C:\Program Files>. Type in cd cpp-ethereum and press enter. It should get you to C:\Program Files\cpp-ethereum>. This example is mining within a pool and not solo mining. Solo mining requires a lot of hash power to be effective and usually not recommended. This example is going to be using Dwarfpool. While in C:\Program Files\cpp-ethereum> type in ethminer -G -F and press enter. Dwarfpool’s address is http://eth-eu.dwarfpool.com:80/YOUR_WALLET –opencl-platform 1 –opencl-device 0 –cl-local-work 256 –cl-global-work 16384. Replace YOUR_WALLET with your wallet address. That’s it! You are now Ethereum Mining! Now you know how to mine Ethereum with the best of them! Sometimes you do see errors or weird issues with certain type of video cards, you’ll have to Google and browse through the forums to fix. If this seems too difficult or too much of a hassle then you are a wuss! Just kidding! 🙂 Even though building an ethereum minging rig is fun and a lot like having a money tree, the process of tuning it and making sure it’s cranking away is not the easiest thing to do. That is why cloud mining exists. If you want to take a look at cloud mining and what it would cost, click here. You are looking for something that has the best balance between the three. The AMD Radeon RX Vega 64 is the latest GPU from AMD that simply dominates mining. 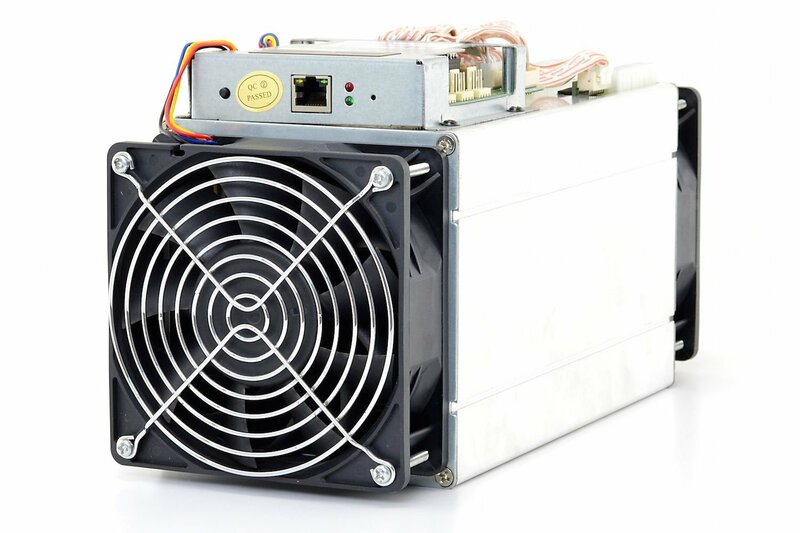 Stock, it can mine Ethereum at 33 MH/s using around 200 watts but with a little tweaking, the hash rate can be as high as 41 MH/s using as little as 135 watts! This card is simply a monster. They are flying off the shelves so make sure you grab yours when you can. You can buy them here. These are stock hash rates and stock power consumption. There are many tweaks that can be done such as overclocking, lower the voltage, using different firmware and beta drivers. Every card is different so you’ll have to find the sweet spot. And if you are looking to mine other Cryptocurrencies, you can use the same exact hardware. You simply have to run a different mining script. If you need guidance on the other pieces needed to build a mining rig, check out Build an Ethereum Mining Rig. Now get out there and have some fun! This guide will show you step-by-step instructions on how to easily build an Ethereum mining rig. What is Mining? Why Does Ethereum Need to be Mined? Mining is the glue that holds Eethereum’s ‘decentralized app store’ together by ensuring that it comes to consensus on each change to any of the applications (dapps) running on the network. Essentially mining helps verify and validate transactions within Ethereum’s network. So If that is the case why does everyone continue to mine? Doesn’t it become unprofitable? Yes and no. Yes in the sense that if difficulty gets too high, the number of Ether coins you get in reward doesn’t offset the cost of electricity and/or cooling. But usually, when that happens, people tend to stop mining or move to another coin. Once that happens, difficulty drops down and Ethereum becomes profitable again to mine. How is an Ethereum Mining Rig Different From a Normal Computer? Looks awesome right? A mining rig is made up the same components that go into normal desktop computer. But there are a few differences. In a normal desktop computer, you kind of have a good balance between CPU, RAM, GPU, and HD. With gaming computers, you have higher clocked versions of CPU, loads of RAM, one or two GPUs and SDDs. With mining rigs, you want the lowest clocked CPU, bare minimum RAM, 5,6 or 7 GPUs and a very basic HD. Oh, and as you can see from the picture, you don’t want nor can you fit all those GPUs instead of a normal case. 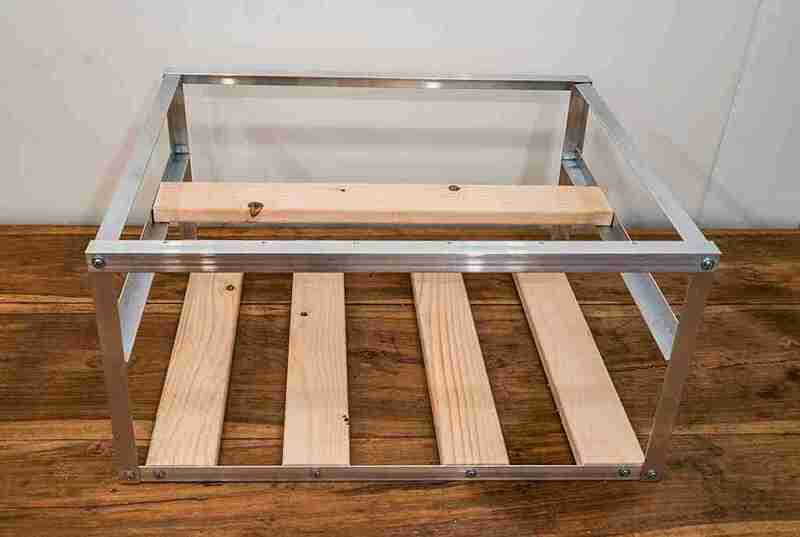 You can use a nice custom made case as you see above or something cheap like a milk crate. When it comes to picking GPUs, you want the select the best bang for the buck. You’re looking for something with high hash rate, low cost, and low power usage. You can start with as little as 1 GPU or as much as 7 GPUs within one rig. Normally you see 5-6 in a mining rig as 7 is incredibly hard to make stable. The best balance is for the GPU to have a high hash rate (the speed which it can mine) with a low power consumption. Below are the best GPUs for mining Ethereum. Listed from best to worst considering hash rate and power consumption. But if you want something cool and professional looking, you can buy mining cases such as this one. The standard power supply in a desktop computer can be anywhere from 300W-500W. But when your mining and you are powering up to 6/7 GPUs, you want to make sure you have enough power. 1200W+ is what you’re looking for and you want to make sure that it is Gold or better certified for efficiency. Also, modular power supplies allow you to configure your cables individually which helps greatly when building out your rig. Or another option is to use dual power supplies and use an adapter cable like this Thermaltake Cable. For mining, you want to maximize the number of GPUs your motherboard will support. Most motherboards inside computers can handle 1 or 2 GPUs, you want to use ones that support up to 6 or 7. These are usually hard to find in stores so getting them online will be your best bet. As for CPU, you just want something basic such as the Celerons. Single 4GB DDR3 1600Mhz RAM is all you need. Nothing more. In order to mount the GPUs within the crate or case, you’ll need riser PCI cables to extend the PCI-e connection from the motherboard. Get as many PCI Express 1X to 16X Powered Riser Cables as you can to match up with the number of GPUs you have. There are many different variants, like this one or this or this. Get a basic 60GB SSD or 120GB SSD drive for installing the OS and running your mining software. You’ll need a basic Monitor and Mouse/Keyboard combo to configure all the software and mining settings. Also, don’t forget about a Kill A Watt usage monitor. You’ll need at least one box fan per rig to make sure the GPUs do not overheat. 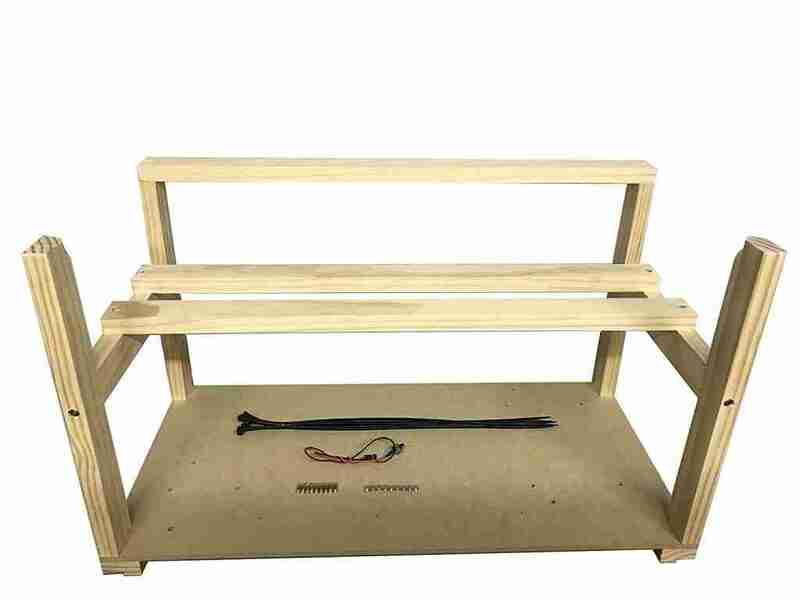 Ok so now that you have all the parts, how do you put it all together? If you’ve built your own desktop computer before, this will be easy. If not then take a look at this awesome video on YouTube that shows you step by step on how to put it all together. The video shows them using Eth OS. Make sure you get an Ethereum wallet ready to store all the ethers you ming. I suggest getting a hardware wallet like the Ledger Nano S. It is immune to malware and nearly impossible to hack. Mining solo, while sometimes more profitable, it’s usually not the right choice for most miners. When mining solo, you are doing all the work alone which means that you’ll receive the entire block reward, the problem is that mining is also based on a luck factor, which means that if your hashpower isn’t high enough, you may never see a reward come your way. With pool mining, however, this variance is eliminated and you receive payments that correspond to the portion of the work that you have done. MinerGate is an established smart-mining multipool that allows users to mine the most profitable cryptocurrency at the time. MinerGate allows users to mine coins through a smart-mining option (auto switches to most profitable coin) or choosing your favorite cryptocurrency manually. Merged-mining is available for FCN and MCN, allowing you to mine two currencies at once without the loss of hashrate for the main coin. If you didn’t want to use a smart-mining pool and wanted something more basic, then check out Ethpool. What Kind Of Miner Are You? Now that you have all the information you need to start mining Ethereum, the sky is the limit on what type and how many rigs you have. Do you want to stick being a beginner or do you want to become a farmer? 🙂 Building mining rigs are computer nerd’s version of building a car. It is extremely satisfying and as we know rewarding. Make sure wherever you plan on running the mining rig to have enough air flow. GPUs running at 100% 24/7 generate a ton of heat!